Get perfectly made up eyes every time with the La Bella Donna Oval Fluff Brush. It fits neatly into the crease of the eye or under the lower lashes for perfect application of La Bella Donna eye makeup every time. Get the most gorgeous, perfectly made up eyes you’ve every experienced with the La Bella Donna Oval Fluff Brush. 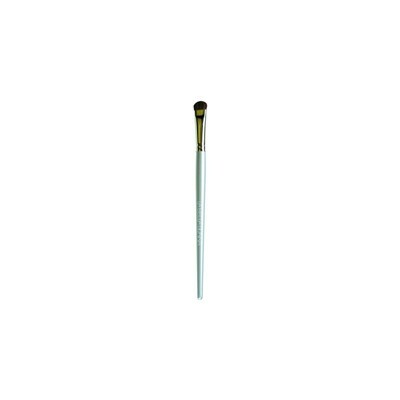 This brush pairs perfectly with La Bella Donna Compressed Mineral Eyeshadow to give you gorgeous eyes every time. The compact design of the La Bella Donna Oval Fluff Brush has numerous benefits. First, because of its size, it doesn’t waste makeup. Only what you need goes onto the brush and the skin every time. Second, it easily and precisely applies makeup to small areas such as the eyelids and under the eyes. As it glides across these often hard-to-reach places, it leaves behind just the right amount of makeup every time. You might be wondering, “Why do I need such a fancy brush?” If you’ve never used one, then you don’t know. In the end, this brush will save you both time and money while giving you an even more beautiful appearance. * La Bella Donna Oval Fluff Brush is recommended for all skin types and tones. The La Bella Donna Oval Fluff Brush can be used to apply eyeshadow to the corner of the eyes. It also works well to smudge eyeshadow for a subtle, blended appearance. Use to create smoky eyes by applying dark eyeshadow under the lower eyelashes. The ingredients list for the La Bella Donna Oval Fluff Brush is currently unavailable.